As a sports medicine physician I found myself in the medical tents taking care of athletes at triathlons, marathons, pro-beach volleyball and other sports events over the years and the one sport that really intrigued me was triathlon. It involved all the things I loved to do as a kid, swim, bike and run. But as an adult, running was a problem for me. Being the sports techie that I am, I began searching for technological advances in running shoes. I found several articles about a new sneaker company out of El Paso, Texas called Spira that put “Wavesprings” in the heal and fore-end of their sneakers. The more I read, the more I was intrigued. 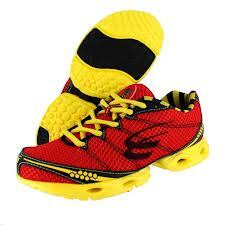 I ordered my first pair of spira’s and began training. I loved the sneakers because they really reduced the shock to my heel and strain on my foot. Somewhere along the line I started to enjoy running, taking in the scenery and taking that relaxing breath as you run by some truly beautiful scenery and you forget you’re actually running. 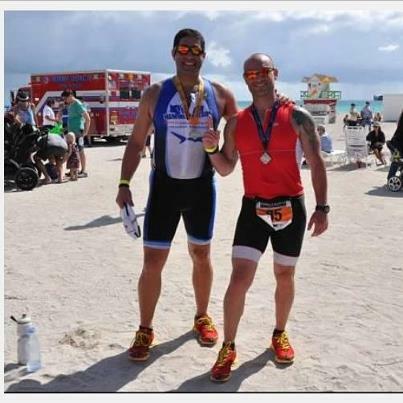 So now I’ve been doing triathlons for the past 4 years and ran my first race in Spira’s new Stinger-2. I have been training in it for several months and found the shoe to be extremely light and responsive. The Stinger-2 is incredibly comfortable and even with my nasty ingrown toenail (I know-I know...T.M.I. ), I finished my triathlon without a peep from my feet. My training over the past 4 months has been on the road, on gravel and on hard packed beach sand and the shoes have stood up very well and continue functioning and looking great. They seem to be very well constructed and I’m definitely going to be purchasing another pair. Other companies have more recycled conventional technologies to absorb shock. Air or gel pockets, various rubber compounds to add some extra bounce, but Spira has successfully developed a stainless steel spring called wavesprings that seem to be based on a leaf-spring design (much like the natural arch of a foot) and provide lateral stability while absorbing shock and returning energy back into your stride. The did this in a manner that keeps the spring low profile (unlike coil springs). The size of your foot determines the relative strength of your wavesprings. Obviously someone who is 6’2” and has a size 12 foot needs a different strength than someone 5’4 with a size 7. 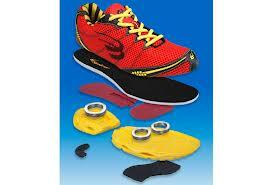 The wavesprings are geared towards your shoe size and relative body weight.